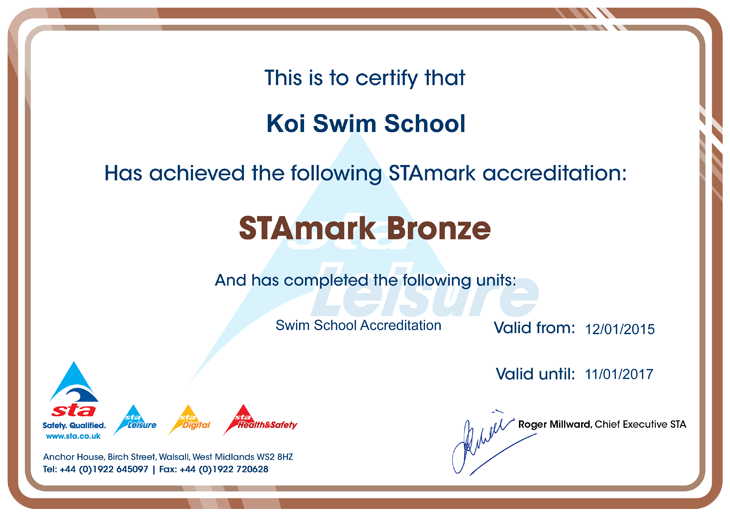 Established back in 2012 KOI SWIM SCHOOL is an independent private swimming school. 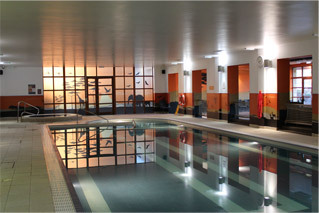 Ever since, each term we have welcomed many swimmers to our classes. We are proud of developing the unique way swimming is taught. The way we teach creates opportunity to learn through having fun. Children are introduced to different variety of games and plays which helps them to enjoy swimming even more. With our motto HAPPY SWIMMING we aim to help swimmers and their parents to recognise the danger water brings but also enjoy the beauty of swimming. Whatever fun you have, stay safe. We want 'our' parents to become a 'teachers' so they can confidently support their little ones' water experience. I do remember my very first swim. How wonderful it felt to be able to get of the bottom and move freely in the water! It was only 2 metres swim but it felt like miles! I felt excited and proud. That’s why I always praise all my swimmers with even the smallest achievement as it does matter. Over the years, ideas I have had were changing/developing to make sure my swimmers stay safe in the water and progress faster. It’s always been my goal to provide the highest standard of teaching. My love of water started at a young age splashing around in the sea for hours with my family. This passion led me to join a swimming club where I swam competitively for many years and became an assistant swimming teacher for the club. I then gained my lifeguard qualifications and worked as a lifeguard and swimming instructor in America. I expanded my career in America by becoming a Water Safety & CPR Instructor with American Red Cross. 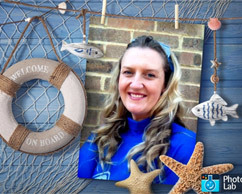 Upon returning to the UK to undertake a university business degree I continued to work within the wonderful world of swimming until becoming airline cabin crew specialising in first aid and CPR. I spent the majority of my time in Japan where I continued swimming for my leisure. After having four lovely children (who also adore the water! ), I restarted my swimming career and qualified as a Level 2 aquatics teacher and lifeguard.  I have since gained a number of additional swimming teaching and coaching certificates. I have taught and coached swimming in sports centres, swimming clubs, schools, and hotels to all ages and abilities. I feel so privileged to have the opportunity to pass on such a valuable life skill and enable others to enjoy the magic of water safely. Swimming is a passion of mine, always has been. It was always fun, I met loads of friends and I made my way to the Surrey champs with my club. Such a good buzz to compete in galas in so many places. I have been involved in the leisure industry for years, working with children and adults of all ages and abilities. I find it very rewarding and enjoyable. I’d like to pass my passion for swimming on to others. I absolutely love teaching swimming, and what it can bring to anyone who is learning in a fun and safe way. Being able to teach makes me very proud as swimming is an essential skill to have. Giving praise and being happy makes for happy children! I can’t remember a time when I didn’t swim. I have swam throughout my whole childhood, during my weekly lessons at the local pool, then went on to swim at Dorking Swimming Club. When I was 18 I started to teach swimming and went on to gain my full teachers certificate and later my parent and baby qualifications. I have now been teaching swimming for over 20 years! I am very lucky to have a career doing something I love. I teach babies and children of all ages and abilities. Teaching babies to swim with Koi Swimming is very rewarding, it's one of the best ways for parents to spend quality time together with their children whilst teaching them a very important life skill. My first memories of swimming are simply playing in the water with my dad and brother. My mum was determined that me and my brother both had lessons as she has never been a confident swimmer. I am very glad she did. After I finished swimming lessons I tried out every water activity option. I got a 1st in my Education degree, but I decided I did not want to teach in a school. I wanted to teach something that I loved. I volunteered as a swimming teacher assistant to see what teaching would be like. I was then told to get my Level 1 and they would employ me, so in January 2014 I had my first job teaching swimming and that is what I have done ever since. I became a rookie lifeguard instructor and have enjoyed helping many children to complete the award. I take pride that I am sending out safe responsible young people into the world who know dangers of water, but still enjoy it and can keep themselves and others safe in an emergency. Learning and teaching anything is easier if you know love what you are doing, and it makes you feel good about yourself. From a very young age, I have loved the water. Whether it was competitively swimming for my local swim club, surfing on holidays or testing out a variety of water sports. I’ve always been very active and I’m continuously trying to better myself with new sports qualifications. I have been teaching since I was 16 and cannot foresee a future without it. I’ve been lifeguarding and working within the leisure industry in various roles since I was 16 also. My favourite part about swim teaching, is seeing my students progress, particularly when they can see it too. We have achieved STAmark Bronze. 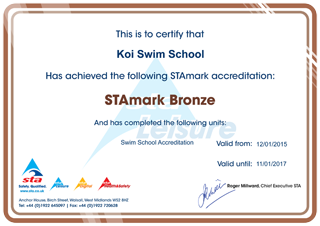 What does the STAMark Bronze Accreditation mean? The definitive Mark of excellence for Swim Schools and Business & Swimming Pool Operators. We understand how hard it is these days to decide which activity is best for your little one. Take a look and learn a few facts why swimming should be on top of the list. We keep learners safe, swimming, and smiling!